An internal memo from the Obama administration reportedly considered allowing non-American Ebola patients into the United States for treatment, according to Fox News. The State Department denied the existence of any such plan Tuesday, despite the memo. A Fox source said the memo was prepared by the State Department and marked "sensitive but unclassified." 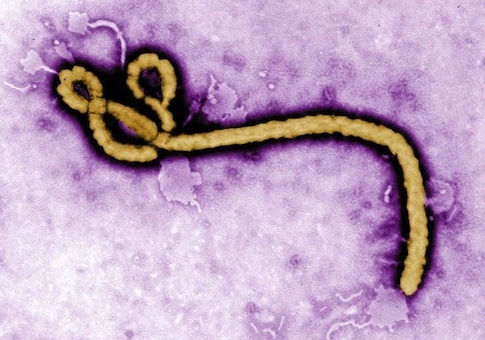 The memo says to "Come to an agreed State Department position on the extent to which non-U.S. citizens will be admitted to the United States for treatment of Ebola Virus Disease," and advocates for the implementation of a plan for "expeditious parole of Ebola-infected non-citizens into the United States as long as they are otherwise eligible for medical evacuation from the Ebola affected countries." Bob Goodlatte (R., Va.) wrote to Secretary of State John Kerry and Homeland Security Secretary Jeh Johnson last week, asking whether either department was formulating such a plan. He said he had heard "information from the administration" that a plan to allow Ebola-infected non-Americans into the country was being developed–and that that sort of plan would put the country at risk. "Members of the media, my office have received confidential communications saying that those plans are being developed," Goodlatte said Monday night. "This is simply a matter of common sense that if you are concerned about this problem spreading … we certainly shouldn't be bringing in the patients." The State Department continued to deny the plan's existence even after the memo was released. "There are absolutely no plans to MEDEVAC non-Americans who become ill from West Africa to the United States," the official told FoxNews.com. "We have discussed allowing other countries to use our MEDEVAC capabilities to evacuate their own citizens to their home countries or third-countries, subject to reimbursement and availability. But we are not contemplating bringing them back to the U.S. for treatment. "Allegations to the contrary are completely false." This entry was posted in National Security and tagged Africa, Bob Goodlatte, Ebola, Fox News, State Department. Bookmark the permalink.